The Retractable Screen Solution for double doors that truly gives you a BetterView. 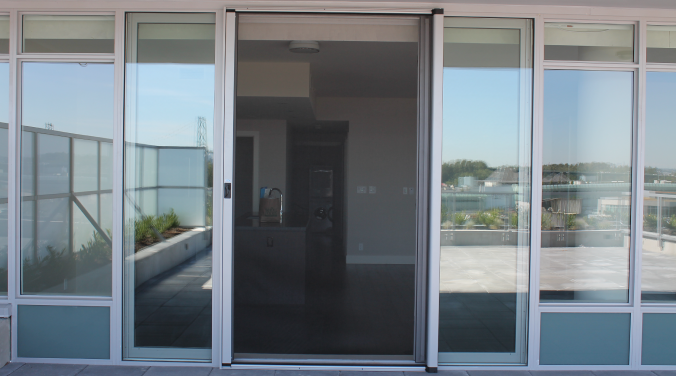 BetterView is the first single-pull screen specifically designed for French doors! No longer do you need to look at pull bars running down the middle of your screen. One system covers the entire distance. The BetterView has a handle brake system that lets you stop the screen anywhere you want! The screen features captured mesh technology which gives it a high wind rating and keeps your pets inside. We’ve designed the screen with a housing size of only 2.36” (60mm) the BetterView Retractable Screen is compact and looks great. Keep out insects, bugs and pests! Protection from the suns harmful UV rays.